Today, an amendment of the Tobacco Act passed the first reading in the Riigikogu. It concerns in particular electronic cigarettes. The Bill on Amendments to the Tobacco Act (206 SE), initiated by the Government, will transpose the new European Union Tobacco Directive which approximates the laws and regulations of the Member States concerning the manufacture, presentation and sale of tobacco and related products. 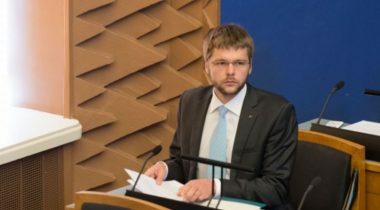 The Minister of Health and Labour Jevgeni Ossinovski who presented the Bill said that the directive is in conformity with the principles of Estonian tobacco policy. He said that the Bill that is under consideration concerns in particular electronic cigarettes. Ossinovski noted that the consumption of electronic cigarettes has increased all over Europe and also in Estonia in recent times, but for some time there was no regulation on them in Estonia. By today, an age limit has been established which was not in place initially, and a prohibition to consume or sell these products in child care institutions. According to statistics, 10 per cent of Estonian population had consumed e-cigarettes in 2012. By 2014, this number had grown to 15 per cent. Among school pupils, the number of pupils who have tried e-cigarettes has also been increasing year by year, and therefore the Minister stressed that, from the standpoint of health protection, stricter requirements will need to be established also for electronic cigarettes. The Bill will amend the Tobacco Act by adding the requirements for the marketing of electronic cigarettes and nicotine-containing refill liquid for electronic cigarettes. When presenting the Bill, the Minister said that electronic cigarettes have to deliver the nicotine doses at consistent levels. Second, a requirement will be established that refill containers for electronic cigarettes have to be child- and tamper-proof, be protected against breakage and leakage and have a mechanism that ensures refilling without leakage. Requirements will also be established for the contents of nicotine-containing refill liquid for electronic cigarettes, to avoid harmful additives, accidental intoxications, and health risks arising from impure contents. The maximum nicotine level in refill liquid will be set as 20 mg/ml, and the liquid may not contain vitamins or other substances that are associated with beneficial health effects, caffeine, taurine or other stimulant compounds, additives having colouring properties for emissions, or substances that pose a risk to health in heated or unheated form, except for nicotine. Requirements will also be established for the labelling of electronic cigarettes. The Bill will establish a prohibition on cross-border distance sales of tobacco products and tobacco related products. The Minister pointed out that several other initial proposals of the Government’s tobacco policy, arising from the national tobacco policy agreement document, or the Green Paper on tobacco, had been separated from the Bill. He pointed out as an example that the prohibition on national distance sales, as well as the proposal to hide tobacco products from the view of consumers in shops, had been dropped from the Bill under consideration. “However, we have reached an agreement in the Government that the remaining amendments will come to the proceedings of the Riigikogu with a separate third Bill on Amendments to the Tobacco Act already in the near future,” Ossinovski said. Vilja Toomast, who made a report on behalf of the Social Affairs Committee, mentioned new non-smoked products which cannot be placed on the Estonian market under the current Tobacco Act and which the committee will have to continue to work on. 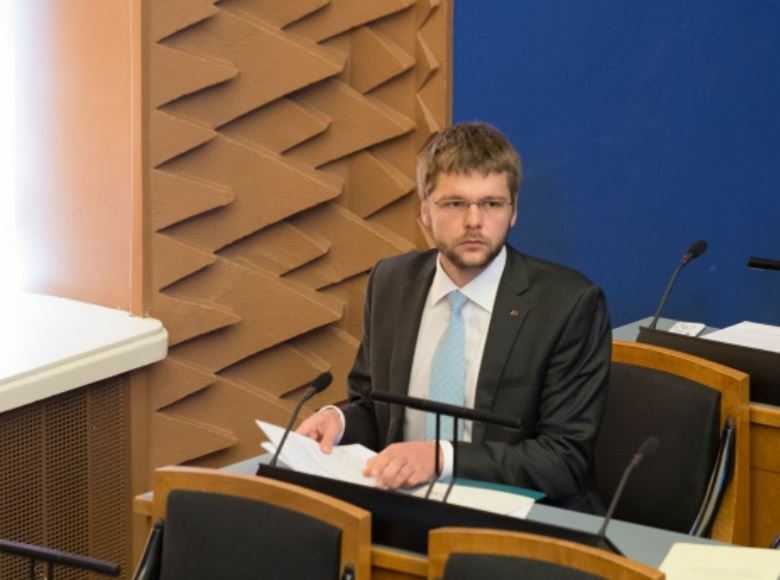 During the debate, Peeter Ernits took the floor on behalf of the Centre Party Faction. He criticised the hasty proceedings on the Bill, pointing out that the deadline for transposition of the directive into national law is 20 May. 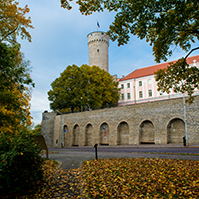 Vilja Toomast who spoke on behalf of the Reform Party Faction noted that the directive would enter into force on 20 May regardless of whether the Riigikogu passed the Act on Amendments to the Tobacco Act or not. She assured that the Social Affairs Committee was working thoroughly on the proposed amendments. The Act on Amendments to the Medicinal Products Act and the Health Insurance Act (154 SE), which was passed with 68 votes in favour, allows to establish a new single register of medicinal products, linked to the digital prescription system, that will perform the functions of the current register of medicinal products as well as the coding centre in the future. At present, only data on authorised medicinal products are maintained in the register of medicinal products. The coding centre also maintains data on authorised medicinal products and, besides that, data on unauthorised medicinal products, foods for particular nutritional uses, medical devices and medicinal product codes. The new register will significantly improve user friendliness and increase the possibilities of using the online version of the register among doctors, pharmacists as well as patients. The information in the register will be in Estonian and English. Heljo Pikhof, who took the floor on behalf of the Social Democratic Party Faction, said that today’s decision would allow to eliminate duplication of information and to save taxpayer’s money. “The aims of the coding centre and the register of medicinal products set out in the current regulation will not be changed in substance,” Pikhof said. In her words, the only change will be that the new register of medicinal products will contain additional information on the import of medicinal products which, in the case of authorised medicinal products, will allow to estimate the actual availability of medicinal products in Estonia, and it will also contain notations concerning medicinal products with a reference price and a price agreement. 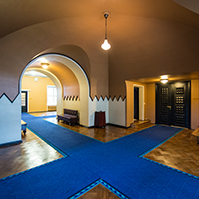 The Riigikogu passed the Act on Amendments to the Income Tax Act (184 SE), initiated by the Government, which transposes amendments to the European Union directive on the taxation of parent companies and subsidiaries. The amendments will preclude abuse of profit distributions of parent companies and subsidiaries, and the double non-taxation in the case of hybrid loans. 60 members of the Riigikogu voted in favour of the Act, one was against, and there were 4 abstentions. 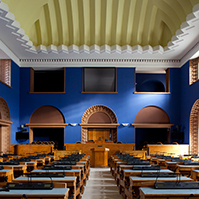 The Riigikogu also passed the Act on Amendments to the Value Added Tax Act (192 SE), initiated by the Government, which changes the procedure of application of value added tax incentives on European Union institutions and the armed forces of NATO, and the conditions for declaration of value added tax on import. According to the Bill, instead of the refund of value added tax, the regulation of exemption from value added tax will be established for EU institutions and the armed forces of another NATO Member State, taking part in the common defence effort, and military headquarters. 62 members of the Riigikogu voted in favour of the Act, one voted against, and there were 4 abstentions. 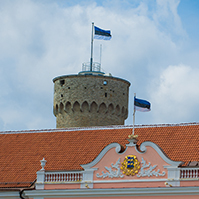 The Bill on Amendments to the Penal Code and the Code of Criminal Procedure (191 SE), initiated by the Government, passed the second reading in the Riigikogu. It concerns punishment in the case of counterfeiting money, and surveillance activities extended with that. The Bill will bring the Code into conformity with EU requirements concerning counterfeiting of the euro and protection of other currencies. The relevant EU directive will have to be transposed into Estonian law by 23 May 2016. The Bill provides for a stricter punishment for preparation for counterfeiting of money, bank cards, other payment means, securities, revenue stamps or state fineness marks. At present, such criminal offences are punishable by a fine. The Bill will provide for up to two years’ imprisonment in addition to that. Also, it will be possible to conduct surveillance activities to detect or prevent such criminal offences. A punishment for misdemeanours will be provided for the case where the head or an employee of a credit or financial institution or another authority involved in the handling of money who is required to check the authenticity and fitness of banknotes and coins fails to do so. The necessary elements of the criminal offences of counterfeiting of money and handling of counterfeit payment means or securities will also be specified. Such criminal offences will be punishable regardless of whether the counterfeiting is committed by use of legal or illegal facilities. Toomas Vitsut, who took the floor during the debate, said that the requirements relating to the protection of the European single currency, the euro, concern all Member States, and the approximation and adaptation thereof is an understandable step. However, he was of a different disposition regarding the amendment to the Code of Criminal Procedure that, in the case of counterfeiting, would allow for application of surveillance activities in this criminal offence. Mark Soosaar explained in the debate that if money counterfeiters discover that Estonia has more lenient rules than the rest of Europe, this will attract them to Estonia. The Bill on the Ratification of the Protocol of 2014 to the Forced Labour Convention (190 SE), initiated by the Government. The Minister of Health and Labour Jevgeni Ossinovski, who presented the Bill, said that, with the ratification of the Protocol, Estonia would send a message both to the international community and persons engaging in human trafficking that forced labour is not acceptable in Estonia. He admitted that, as at the moment, there are not very many countries who have ratified this Protocol, as it is a Protocol of 2014. Four countries have ratified it: Mauritania, Niger, Norway and Great Britain. 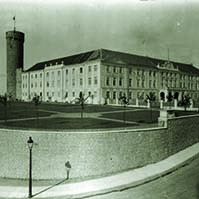 The Forced Labour Convention, which was adopted in Geneva on 28 June 1930 with the aim of prohibiting forced or compulsory labour in all its forms, entered into force for the Republic of Estonia on 7 February 1997. The Bill concerns the ratification of the Protocol of 2014 to the Forced Labour Convention, adopted at the General Conference of the International Labour Organization on 11 June 2014. The aim of the Protocol is to more effectively prevent human trafficking and forced labour, to better ensure the protection of victims, and to sanction the perpetrators of forced or compulsory labour in all 185 Member States of the International Labour Organization (ILO). The latest ILO estimates indicate some 20.9 million people around the world still being subjected to forced labour. According to the ILO definition, forced labour is any work which is exacted of someone under the menace of a penalty and for which that person has not offered him or herself voluntarily. The context and forms of forced or compulsory labour have changed, and therefore measures to prevent it need to be taken. 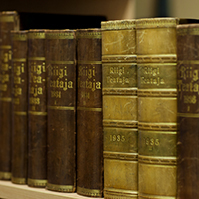 The Bill on Amendments to § 5 of the Income Tax Act (186 SE), initiated by the Centre Party Faction, was dropped from the proceedings of the Riigikogu. It had proposed to increase the proportion of the taxable income of resident natural persons which is received by local governments to 12.13 per cent by 2019, instead of today’s 11.4 per cent. The Finance Committee moved to reject the Bill at the first reading. 46 members of the Riigikogu voted in favour of this motion and 34 were against, thus the Bill was dropped from the proceedings. The verbatim record of the sitting (in Estonian).